The perfect way to break your boredom is two hours of bliss yes! MOVIES. And they are particularly refreshing when you can watch them for free via an app. And this is exactly where our list of the best free movie streaming apps comes into play. 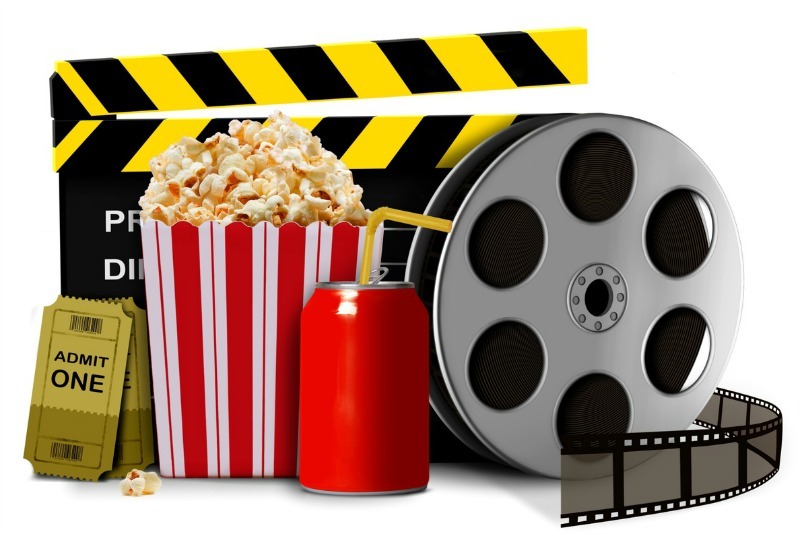 Not only do these free movie apps allow you to watch movies, but may also allow you to watch free streaming TV shows right from your phone or tablet. This is a great way to catch up on your favorite shows when you’re on the go. You would be leaving in the stone age if you have not heard about Netflix. The Netflix is the best place to binge watch shows or watch movies and other highly rated programs. The service hosts most of the popular TV shows along with classics, animations, animes, movies, documentaries, and its own originals. Netflix may be called as the epitome of online entertainment given its reach and quality of content offered. If you are seriously looking for some high-quality TV Shows, Movies, Drama and Info-dramas, I recommend you to go with Netflix. Another gem of the Apps which offers free movies, TV shows and anime for free albeit offering Ads. The App is the top destination to watch anime, movies, sports, and all the premium programming, Apart from the bunch of movies and TV shows the App also host number of Live TV Channels. With built-in video player, clean interface and subtitle support, Freeflix is everything to offer for a general TV lover. You can install a number of Apps in just a single App. A mammoth amount of movies. Showbox is by far the most popular online streaming app thanks to its smooth UI and easy navigation. The App is most talked online streaming App having many features offering to the user without any cost. It is the best alternative to subscription-based video streaming service like Netflix where it offers audio-visual content for free. The Showbox HD indexes various torrent clients and sites to stream the movies and other content for absolutely free. The App offers large content of movies and TV shows without any account and annoying Ads. Showbox app has an extensive library of movies, TV shows, and music which are updated regularly. It is one of the best movie applications with exceptional features like chrome cast support, offline mode, kid’s mode, and subtitle support. It’s not available in the play store, but there is step by step tutorials on how to download and install it on your smartphone. The app is safe to use and is generally devoid of bugs and malware. All the movies are presented in HD quality (720p). Supports the use of Chromecast, Apple TV, and WiFi sharing. Unlike other streaming apps, Terrarium Tv hosts movies and TV series on drives and other cloud services. It is one of the best alternatives to Showbox with a very good app interface. If you are facing issues with this app then I recommend you to try a VPN service. Movie HD App is brought to us by the team of HD Cinema & Sky HD. It hosts a large number of movies and TV shows which I recommend you should try. The app is specially designed and organized to watch free movies on Android. There are no subscriptions or Sign-Ups needed to use this App. You can get the Movies HD Android App for free. The App has a very decent interface but the number of movies it has to offer will surely bring a smile to your face. Popcorn Time is a movie and series player that will thrill fans of this kind of audiovisual material. The app takes the .torrent file for the movie or episode that you want to watch and streams it on your device. Popcorn time is right App to stream from the mammoth library of torrents just by searching for the favorite movie. The App indexes the magnet links and directly streams the content for you. You can also download the movies onto your Android mobile. Viewster is the best movie streaming app, and it is a hugely popular movie streaming app so you can easily watch movies online. You don’t need to create an account or sign up to watch movies on your smartphone, so the navigation is simple. The app is compatible with Chrome cast. Viewster has many documentaries and flicks to help you enjoy. As you would expect, the content is divided based on the same categories. There is also a Browse section of the movie streaming app. That will help you reach all the different content on Viewster. Furthermore, each video is sorted based on its category. This makes it even easier to find what you want. It’s an app which allows you to download the latest movies, music, clips and Live tv on their Android device completely which spending a single penny from their pocket. With Vidmate advanced download technology, you can download movies, music, videos from Youtube, Vimeo, Dailymotion and hundreds of other sites at fastest speed in HD quality. You will experience close to 200 percent faster speeds compared to similar apps on the same Internet connection. Bingo! All you want for entertainment is here! Cover all genres of movies and music from Bollywood, Hollywood, and movies and music in many other languages. Live TV Channels- up to 200 live TVs, covering Movie, Music, Fashion, News, Entertainment, Sport, and many other kinds of channels.